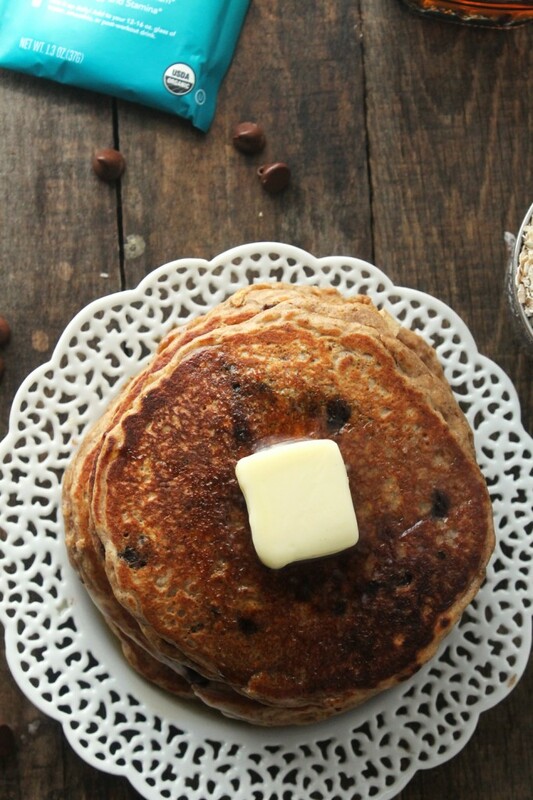 Fluffy whole grain pancakes loaded with chocolate chips and packed with protein for a delicious and healthy breakfast, ready in less than 30 minutes! DISCLOSURE: All opinions and borderline obsessions are my own. 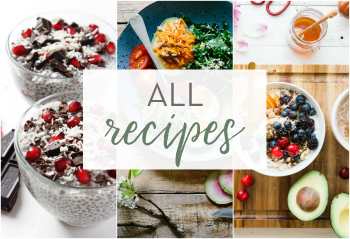 I am an ALOHA affiliate and if you purchase anything through the links in this post, I will receive a small commission. None of the information below should be considered a substitute for medical advice. 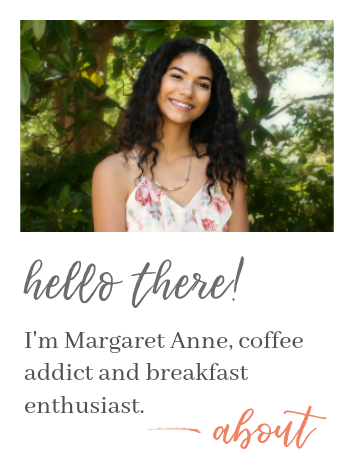 I used to hit snooze 5 times a morning before finally dragging myself out of bed and into the kitchen to start a cup of coffee. But lately a certain four year old insists on waking up at the crack of dawn, shaking me until I get up and make him something to eat. Usually pancakes. He never requests any specific kind of pancake—he’d be content with just plain pancakes—but if I’m gonna wake up that early and eat pancakes 4 times a week, I have to change it up from time to time. Since the little guy usually runs around all day fueled by his wild imagination, I wanted to make sure he started his day with lots of protein. 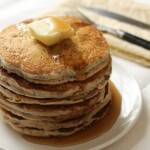 And these whole wheat oatmeal chocolate chip protein pancakes (geez that’s a mouthful) get the job done. 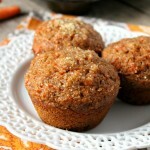 Ingredients like whole wheat flour, oats, and sour cream already provide a substantial amount of protein. 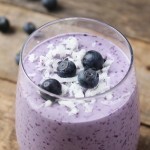 But I took it up a notch by adding ALOHA’s Vanilla Protein Powder, bringing it up to 21 grams of protein per serving! 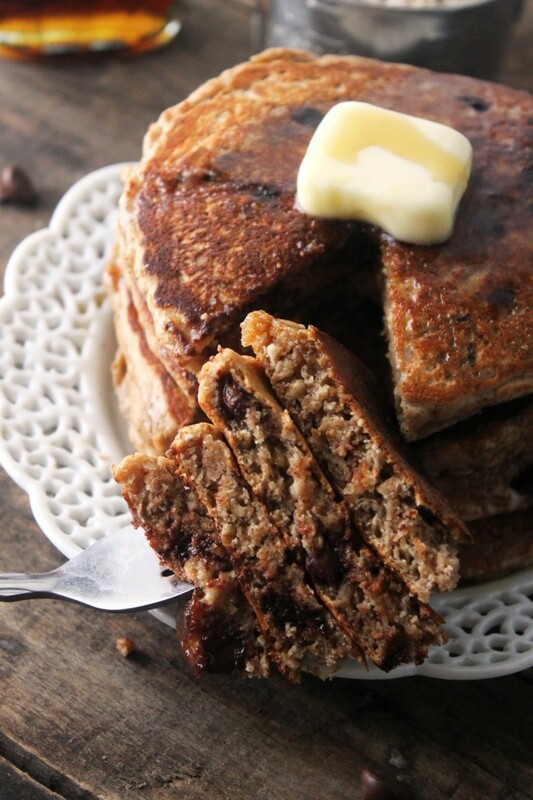 Not only are these protein pancakes super healthy, but they’re also insanely delicious. We’re talking hearty, moist pancakes that even the pickiest of eaters will love. Although, I’m pretty sure anyone would go for a healthy breakfast that tastes like dessert. 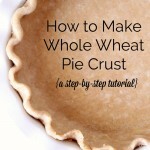 Whole wheat flour tends to absorb a lot of liquid. So the batter by default is going to be thicker than your average pancake batter. I like to use an ice cream scoop (like this one) to scoop the batter onto my griddle, which makes all the pancakes relatively the same size. 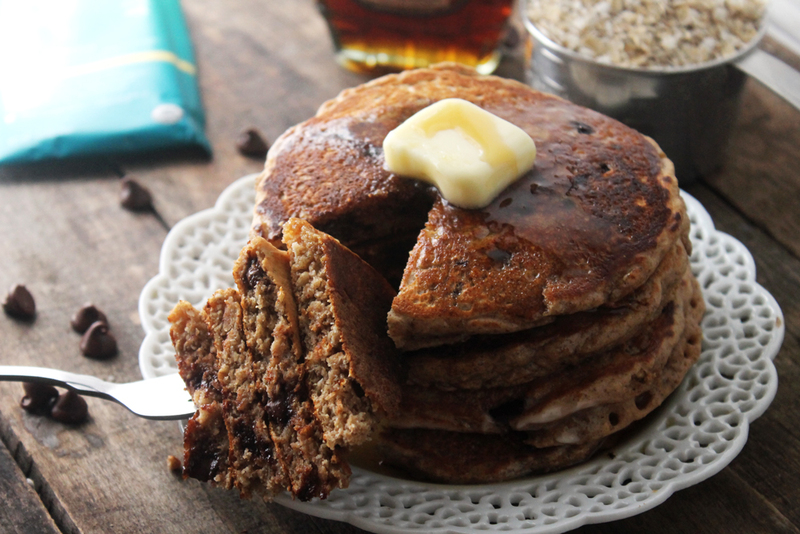 I don’t know about you, but a tall stack of whole wheat oatmeal chocolate chip protein pancakes (aka heaven) drizzled with maple syrup sounds like the perfect addition to any morning. 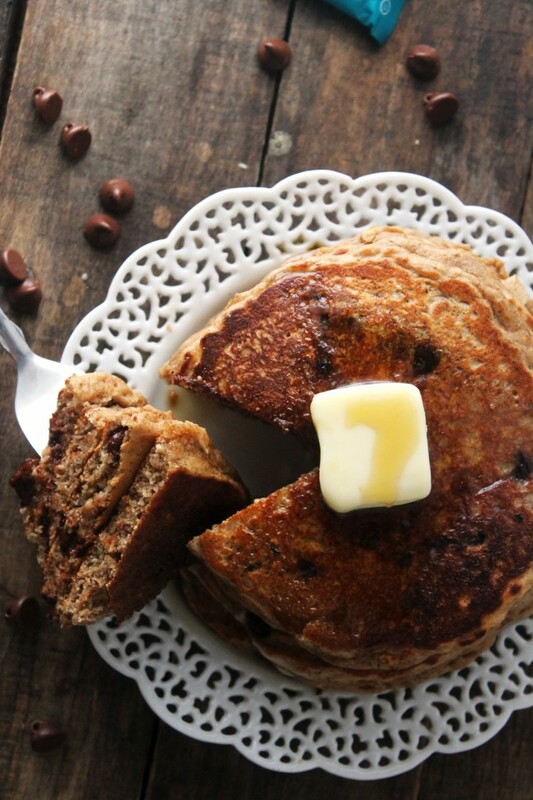 Fluffy whole grain pancakes loaded with chocolate chips and packed with protein for a delicious and healthy breakfast! Preheat griddle to 375° F or a skillet over medium heat. 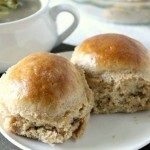 In a large bowl, whisk together flour, oats, baking powder, cinnamon, protein powder, and salt. 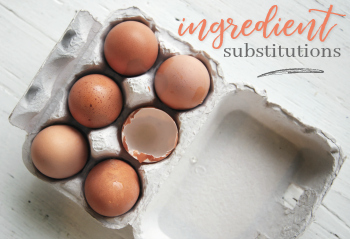 In a medium sized bowl, combine the egg and milk and whisk to combine. Add in vanilla extract, brown sugar, and sour cream. Whisk until smooth. Pour the wet mixture into the dry mixture and stir to combine, being careful not to overmix. Mix until you can't see any dry patches in the batter. Overmixed batter will result in flat, dense pancakes. Add the chocolate chips to the batter and fold in to avoid over-stirring. 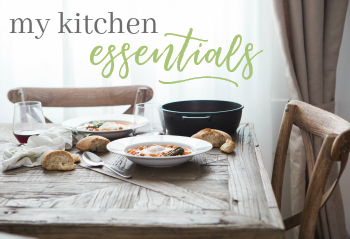 Lightly grease your griddle or skillet. Scoop ⅓ cup batter on the griddle/pan. Cook until the bubbles on the surface begin to break (about 2-3 minutes). 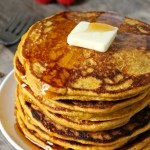 Flip pancakes and continue to cook 1-2 minutes longer. Serve pancakes immediately with butter, maple syrup, and more chocolate chips (optional, but highly recommended). 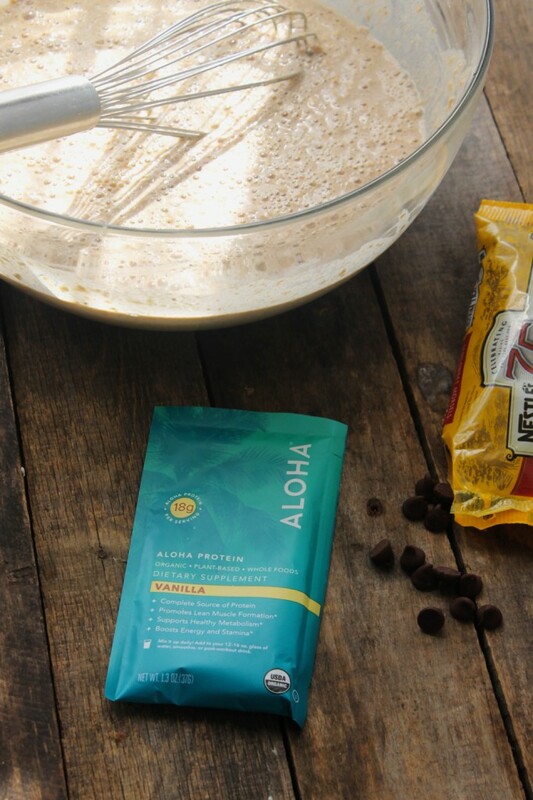 Want to try ALOHA’s protein powder for FREE before you buy? 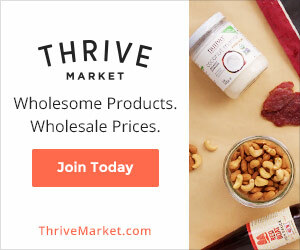 I totally get it—I’d rather try something first to see if it worth the moolah. 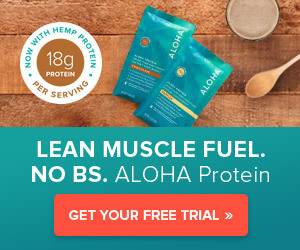 Well you guys can get 2 pouches (chocolate & vanilla flavored) of ALOHA’s energy-boosting protein powder for free. How awesome is that?